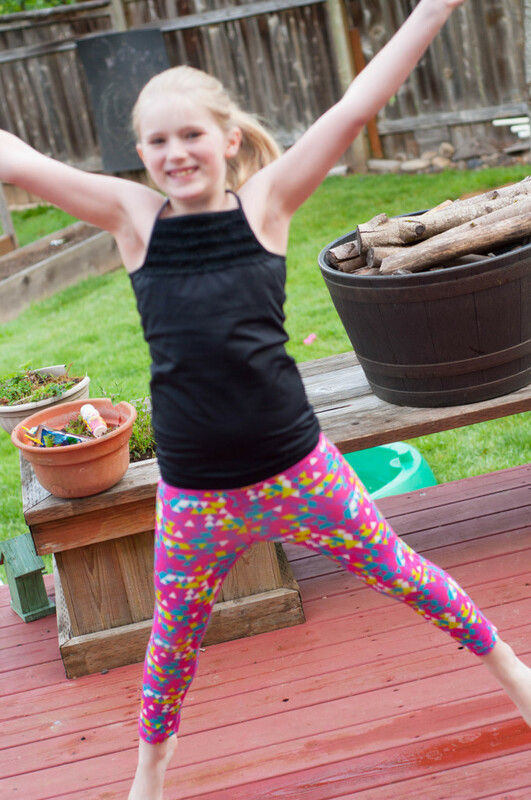 Finding cute yet age-appropriate activewear for young girls is so hard – until now! Limeapple understands what young girls like, and has worked to create a lifestyle clothing brand that encourages girls to be healthy, active, and empowered. Their activewear is bold, spunky, and just right for your active girl. Whether your daughter is headed to gymnastics or tap practice, or whether she just likes to bounce on the trampoline and ride her bike in the backyard, Limeapple is the perfect compliment to her active lifestyle. (And she’s going to love it!) My own daughter received the Geometric Set, and LOVED it! It gives her the freedom to move and play without becoming too hot or uncomfortable. She can move, play, dance, wiggle, jump, and be as active as she likes – all while staying comfortable AND stylish. She loves the ruffles on the top and the bold colors and design on the pants. She is very picky about the feel and comfort-level of her clothing and just loves this outfit. Limeapple is not only about creating fashionable and feminine clothing that young girls (and their moms!) can appreciate. They also have set out to create a high-quality line, using high-performance fabric with moisture wicking and pilling resistance. There are also little extras built in like iPod pockets and flat seams. Limeapple is teaming up with Costco to provide families with an incredible deal! From now until May 10th, you can get an activewear top and capri legging set for just $18.99!!! Head to your local US Costco location or shop online at www.costco.com. 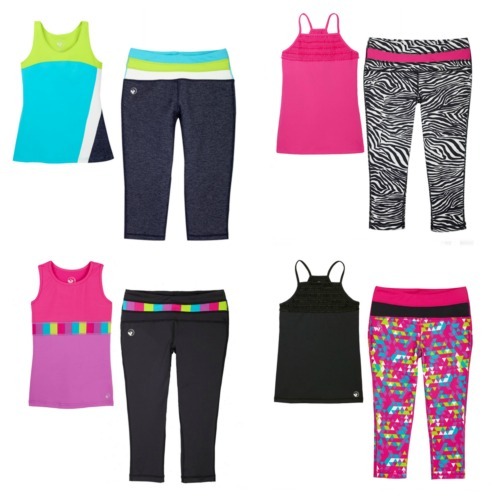 Hurry in to your local Costco and grab a few of these activewear sets! This is a steal!!! *This post is sponsored by Limeapple. I received a free activewear set to facilitate my post. All opinions are my own. No other form of compensation was received.